The Ebola virus causes an acute, serious illness which is often fatal if untreated. 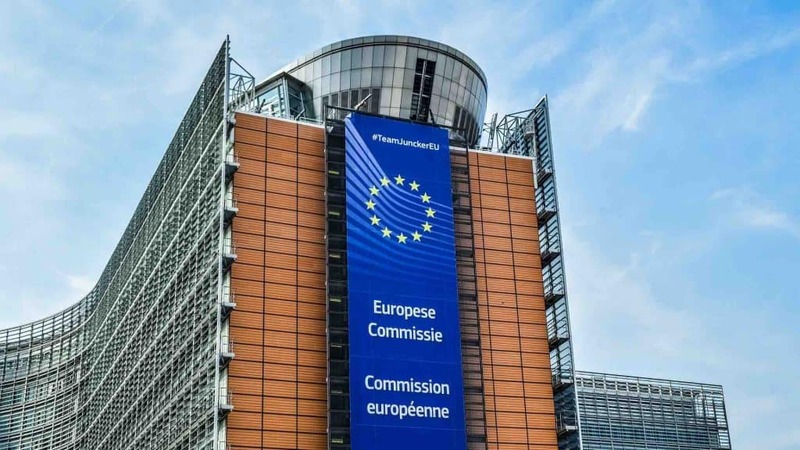 The virus was first discovered in 1976 by a Belgian doctor, and since then several outbreaks have claimed the lives of thousands of people. Just during the latest large-scale outbreak in West Africa 2013-2016, close to 30,000 people were infected and more than 10,000 died from the virus. On 1 August 2018, a new outbreak was declared in North Kivu Province in the Democratic Republic of Congo. Ebola spreads from animals to humans. The virus can then spread from human-to-human via direct contact with the blood, secretions, organs or other bodily fluids of infected people, and with surfaces and materials contaminated with these fluids. Because they are in the frontline during outbreaks, many healthcare workers are infected while treating patients with Ebola. During the 2013-2016 outbreak, more than 500 health care workers contracted the disease, and 269 were reported dead. 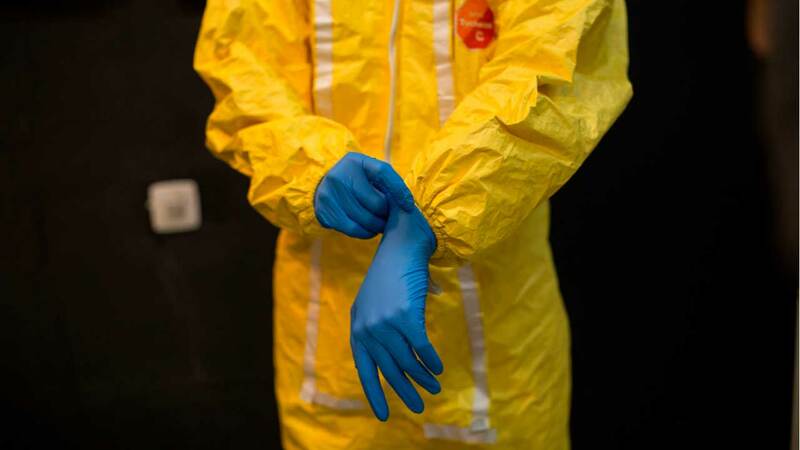 To minimise the infection risk, major organisations such as the WHO and the U.S. Centers for Disease Control and Prevention (CDC) issued guidelines in the beginning of the 2013-2016 outbreak for personal protective equipment (PPE). When worn correctly, PPE is specialised clothing that acts as a barrier user's eyes, nose, mouth, skin, and clothing from contact with body fluids that may contain Ebola. 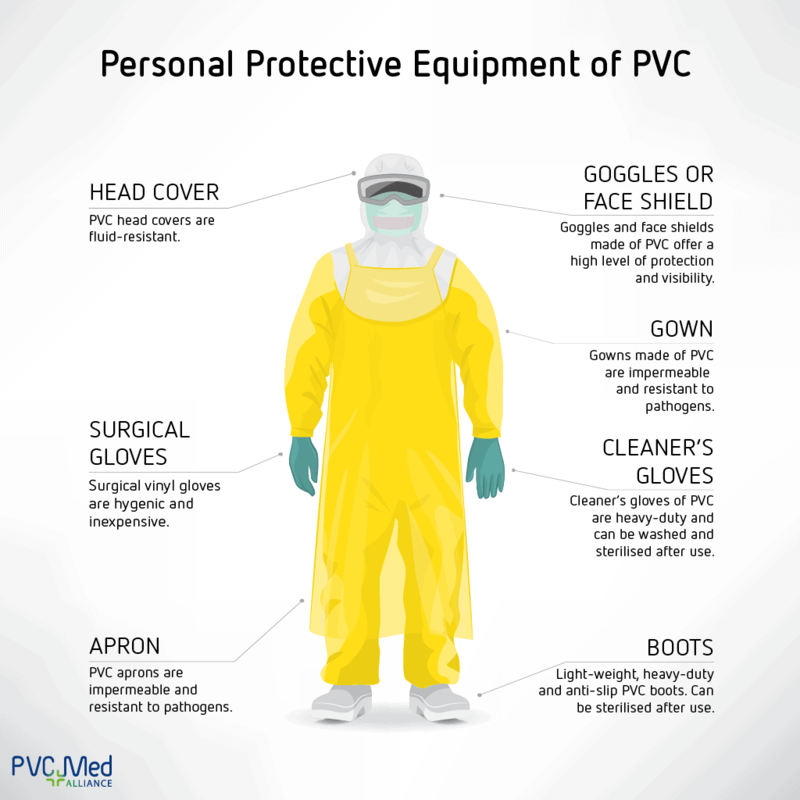 PPE can thereby protect the user from the virus and help prevent spread of the disease. In the image below, you can see what a full PPE outfit looks like. 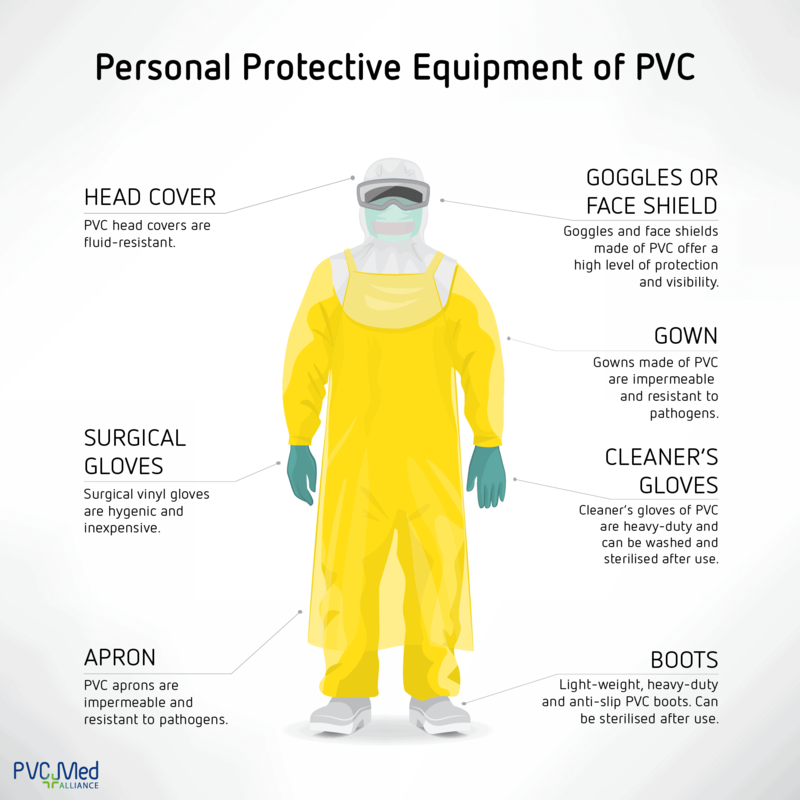 PVC is one of the only materials that can meet the strict requirements for most of the PPE. In fact, the plastic is mentioned specifically in both WHO and CDC guidelines for boots, aprons and gowns. PVC keeps out fluids and pathogens, which is essential during an outbreak. As the plastic is highly versatile, it can also be used for goggles, face shields, gloves and head covers. In their guidelines, the health organisations recommend that most of the PPE is disposed after use. However where applicable, PVC boots, cleaner’s gloves and gowns can withstand a thorough washing and sterilisation. On top, PVC is affordable, which also must be put into the equation in crisis situations in developing countries. Protecting health care workers is important during an Ebola outbreak. However, Ebola patients should of course receive proper medical care. Here PVC also proves its worth. 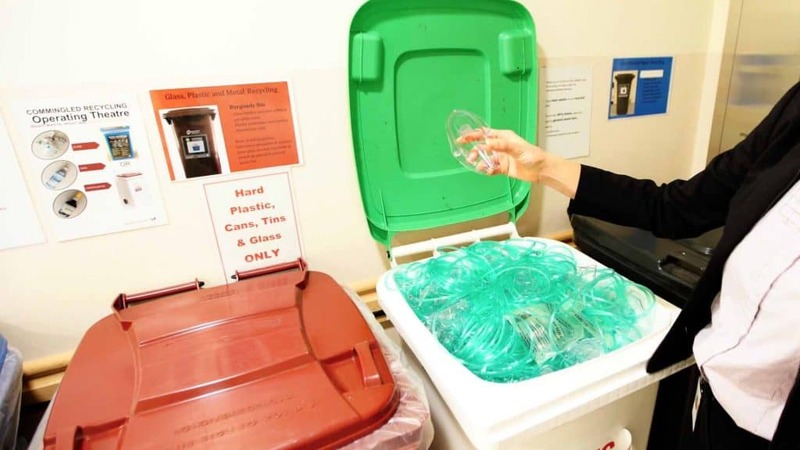 PVC is the most used plastic for disposable medical devices and widely used for a range of other medical applications. During outbreaks, PVC blood bags, urine bags, suction tubes, feeding tubes, catheters, stretchers and other healthcare equipment help save many lives.